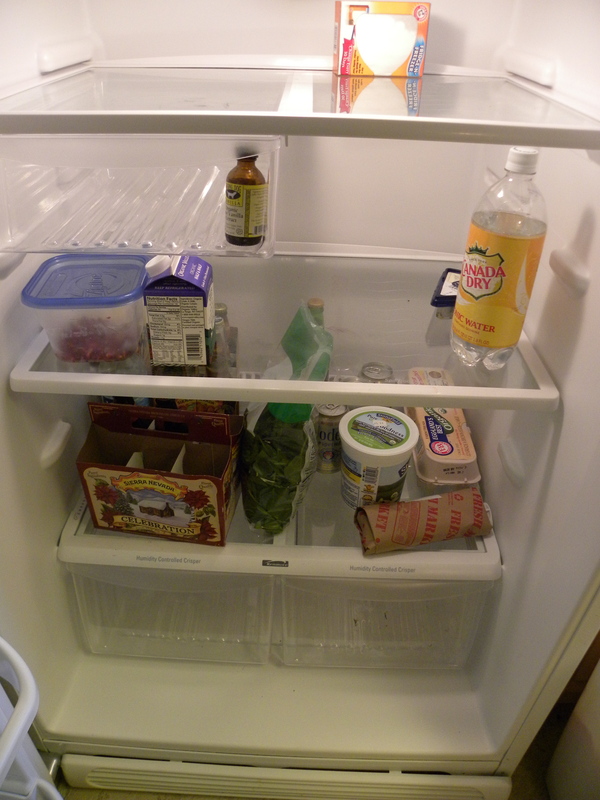 What do you make for breakfast when Scott’s fridge looks like this? But I could whip up a batch of these. 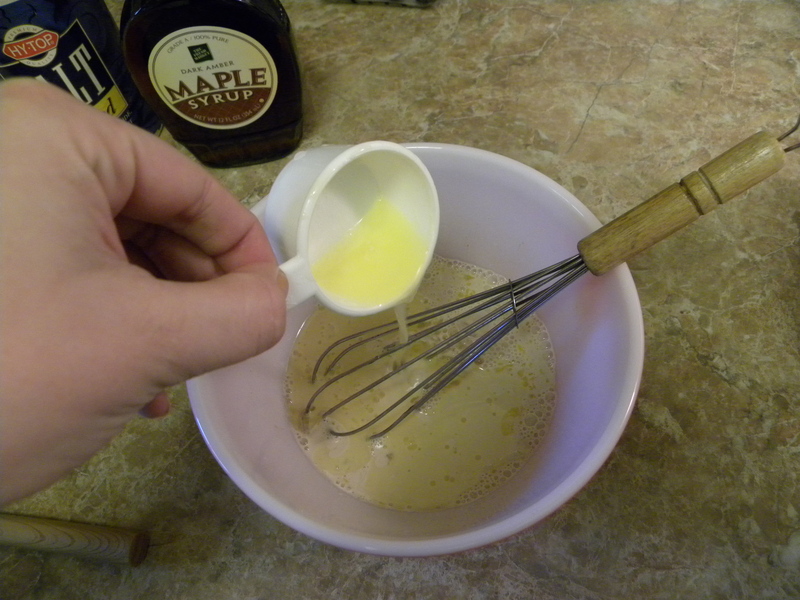 Whisk together egg, milk (or half and half in my case), brown sugar and melted butter. Set aside. 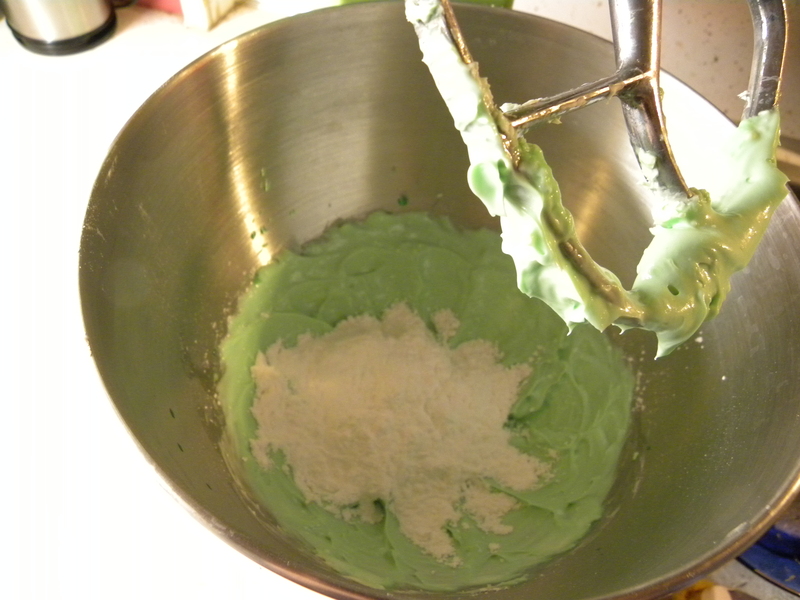 In a larger bowl, mix together flour, baking powder and salt. Add egg and milk mixture to flour mixture. 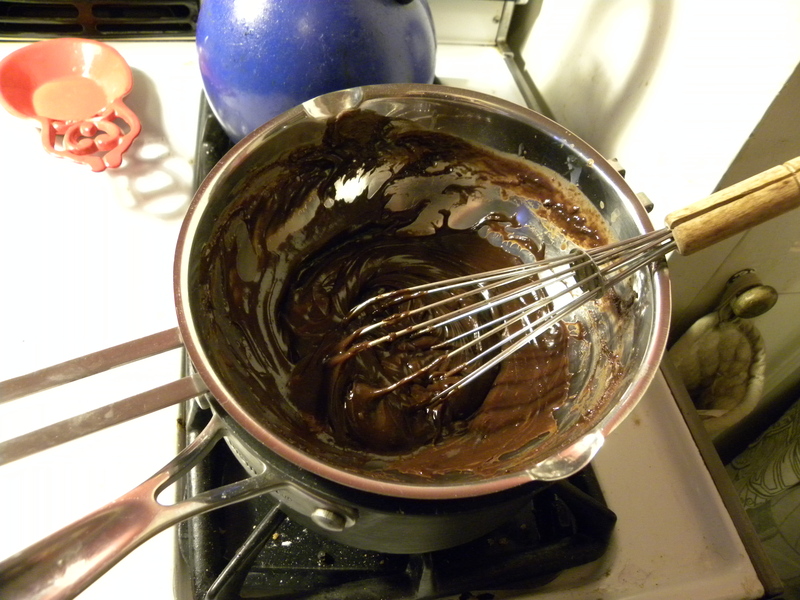 And whisk together, until just mixed. 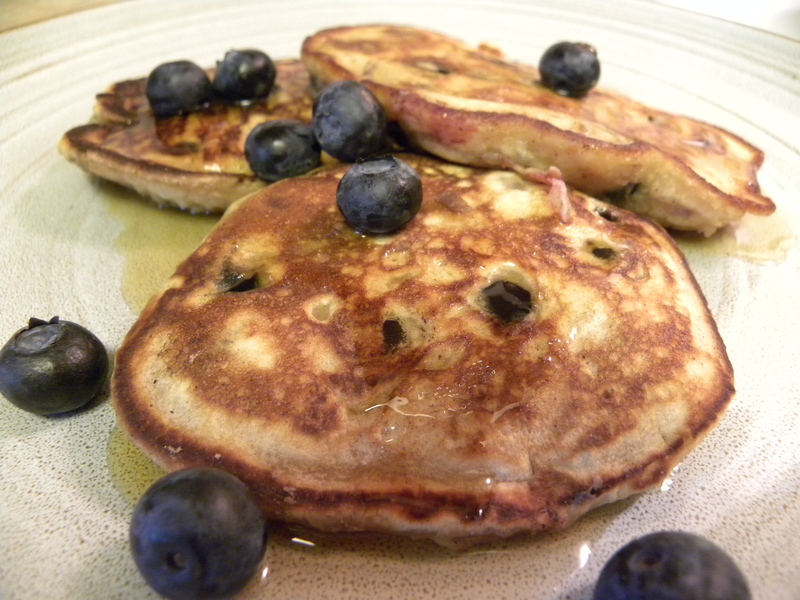 Cook in a frying pan, over medium-low heat, flipping after 3-4 minutes (or bubbles start to form). Cook for an addition 1-2 minutes. 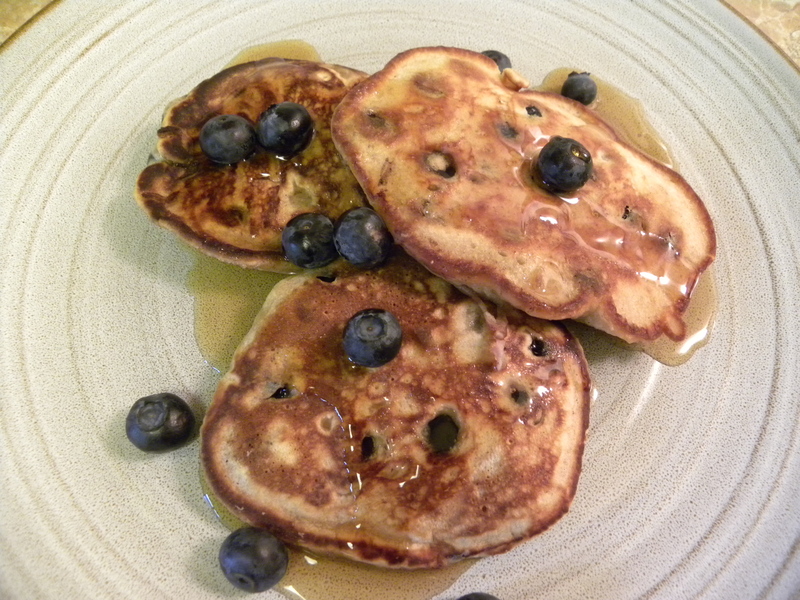 Weekend breakfast may be one of my absolute favorite things in life. At this moment, I am sitting outside at my computer, drinking my coffee. It’s 10:30 in the morning. On the 29th of January. Did I mention I was wearing a bathrobe? Clearly, I am not in Minneapolis. 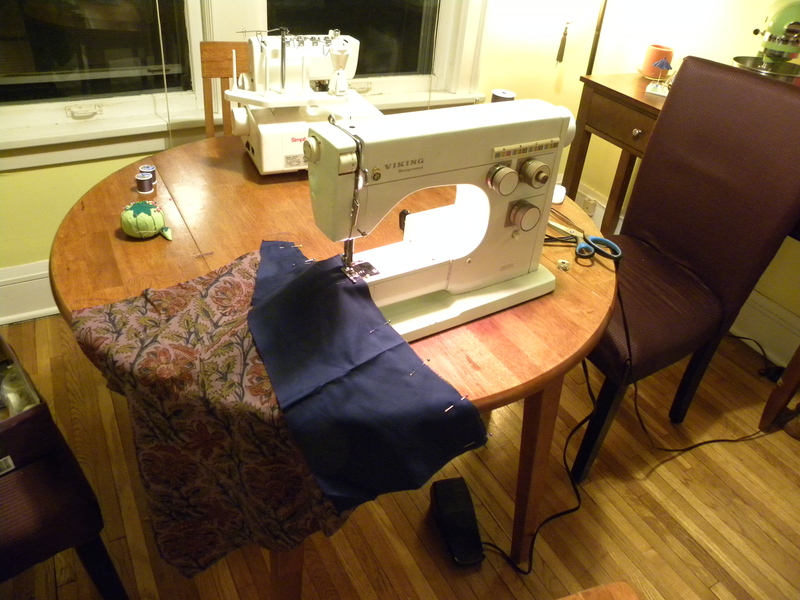 Wednesday night, instead of packing, I got a bee in my bonnet and decided to make a skirt. 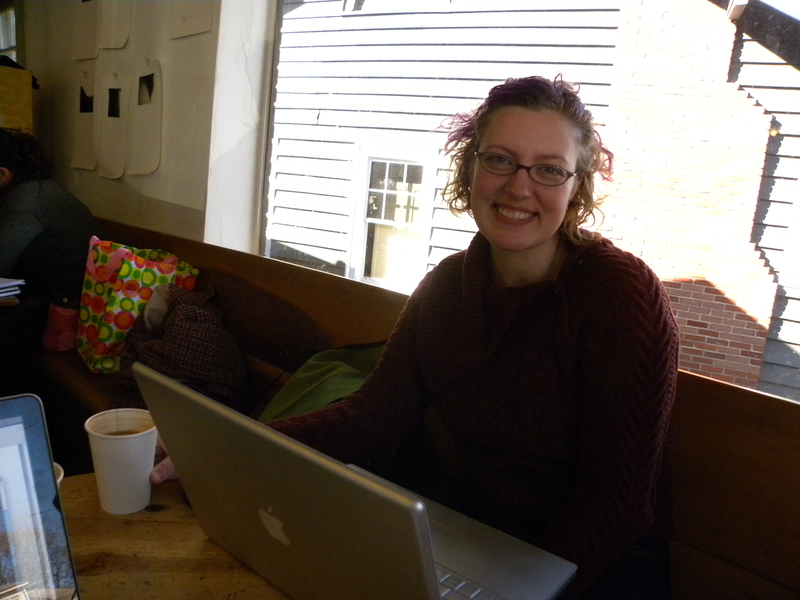 I then searched through my pattern and notion archives. 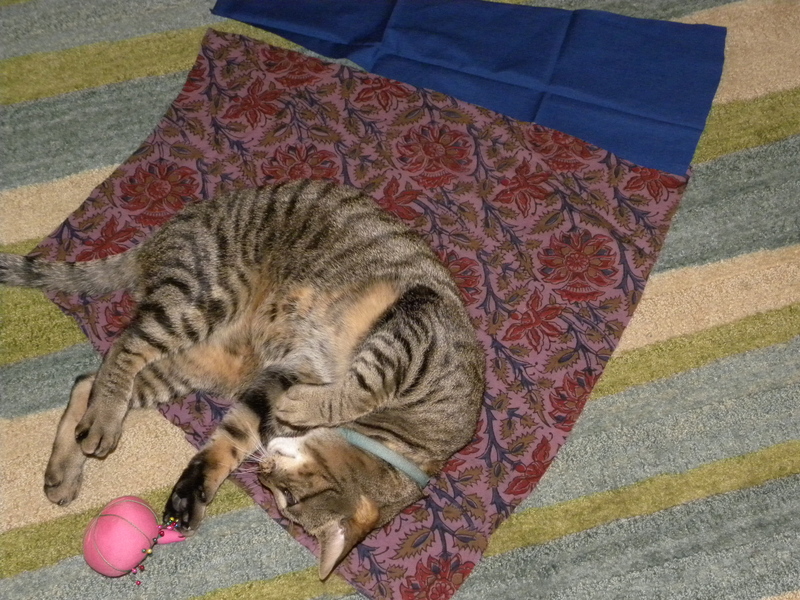 And assessed my stock of fabric. I couldn’t find a pattern that I liked and/or had enough fabric for. So I improvised, Project Runway-style. Now, this is something that I am not confident doing. When I sew (and it has been several months since I dusted off my sewing machine) I need a pattern to get through the project. My mother, on the other hand, can totally make something up on the fly. 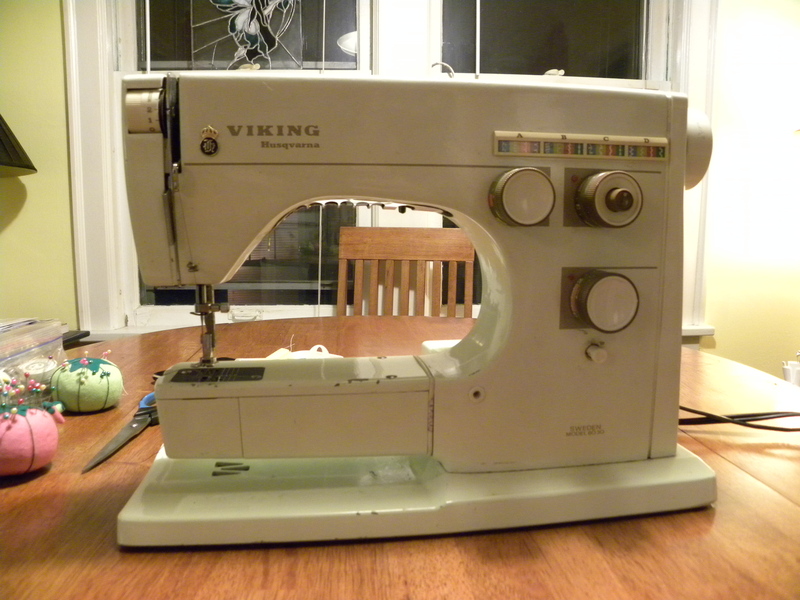 I admire that and decided it was time to take the training wheels off (after 15 years or so of sewing projects). 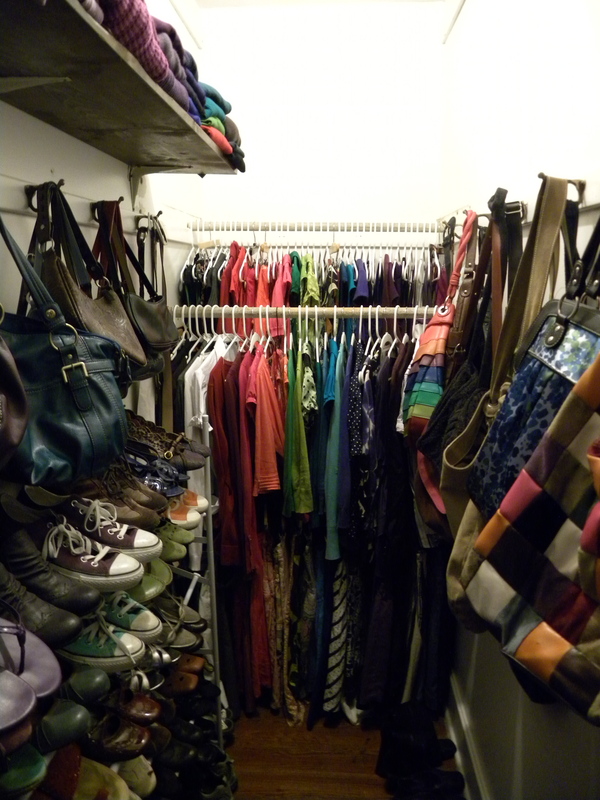 I went to my closet for inspiration. 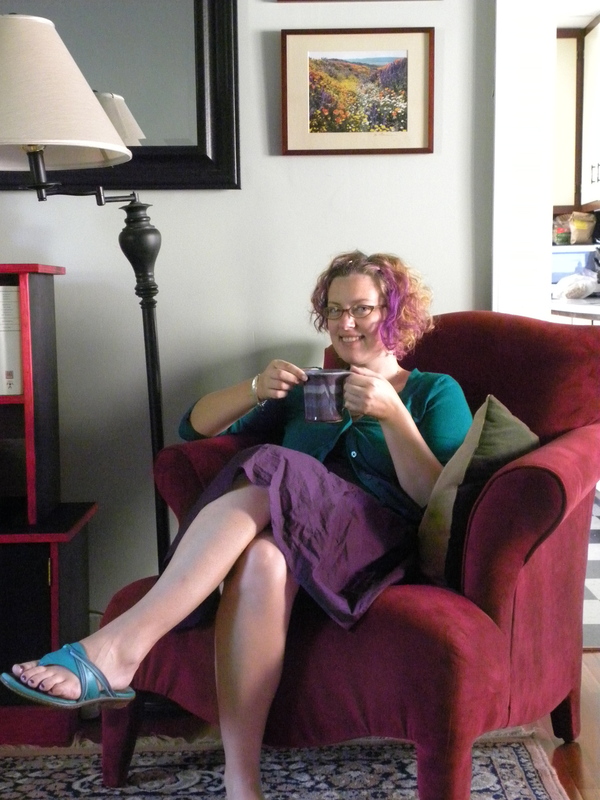 I chose my favorite, purple, A-line skirt to help guide me in making a new, purple, A-line skirt. 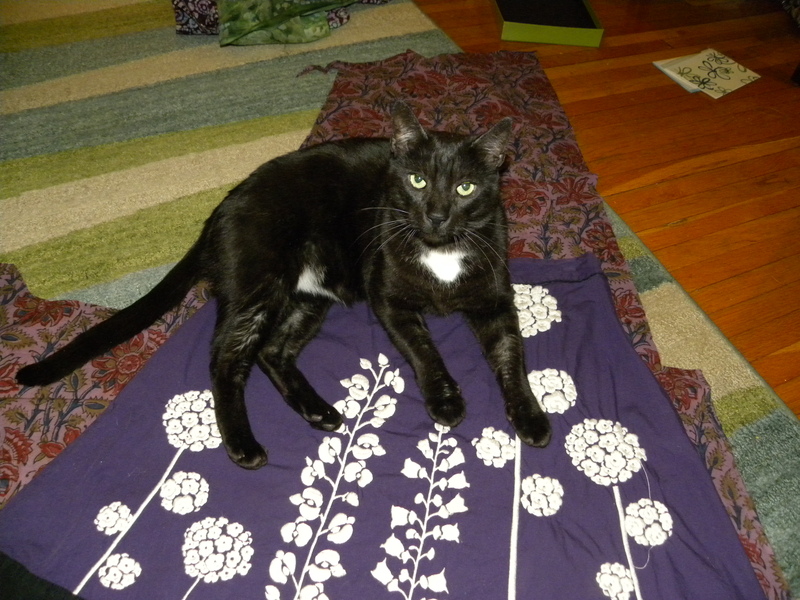 You can see I had some help from Puck. 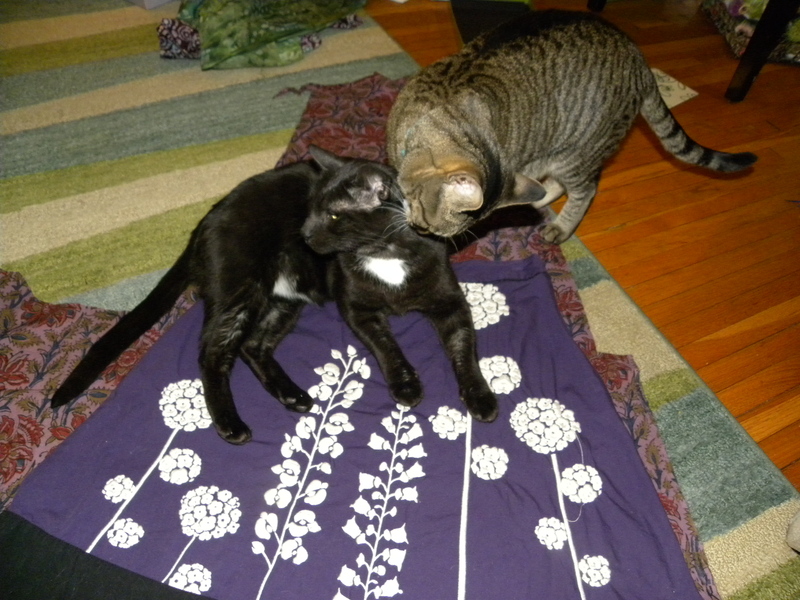 And then Kudzu decided he needed to get in on the action. 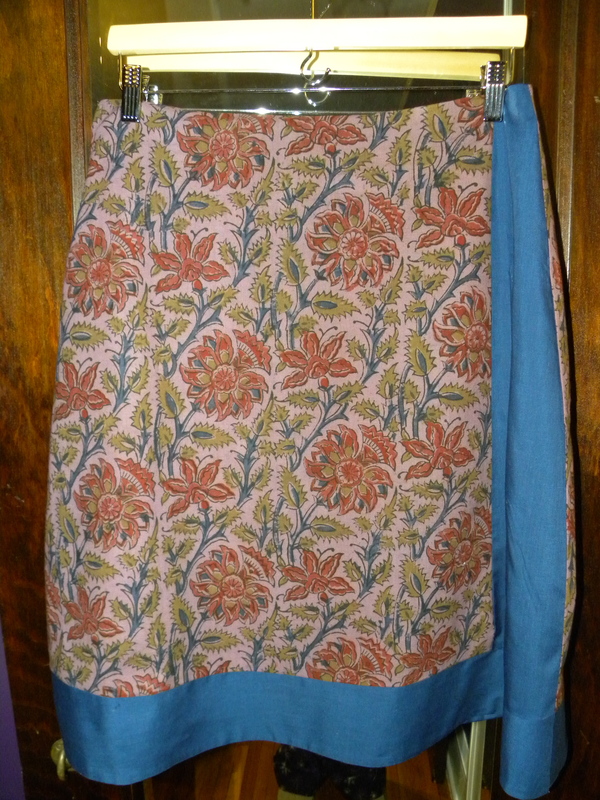 I had a slight mis-step in cutting my fabric, so I decided to incorporate blue side panels into the skirt. I actually think it improved the overall design. 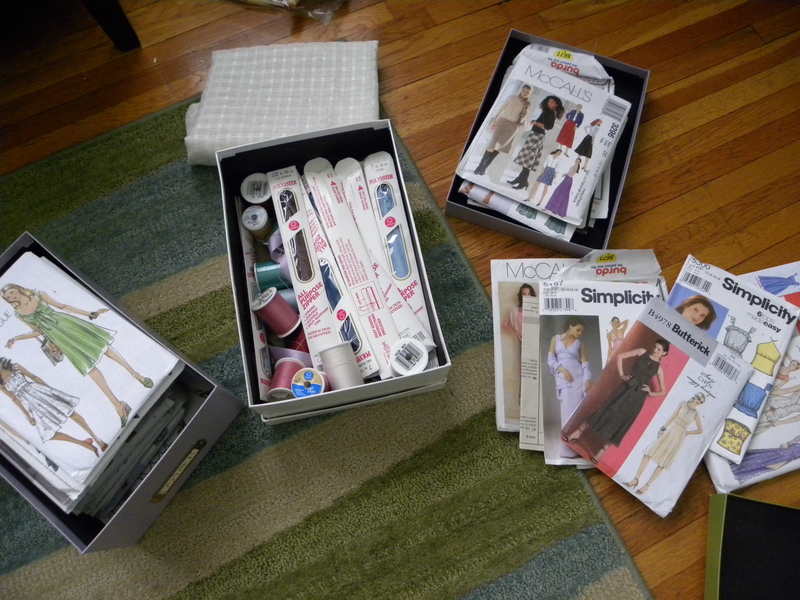 However, I am still far from being ready to go on Project Runway. 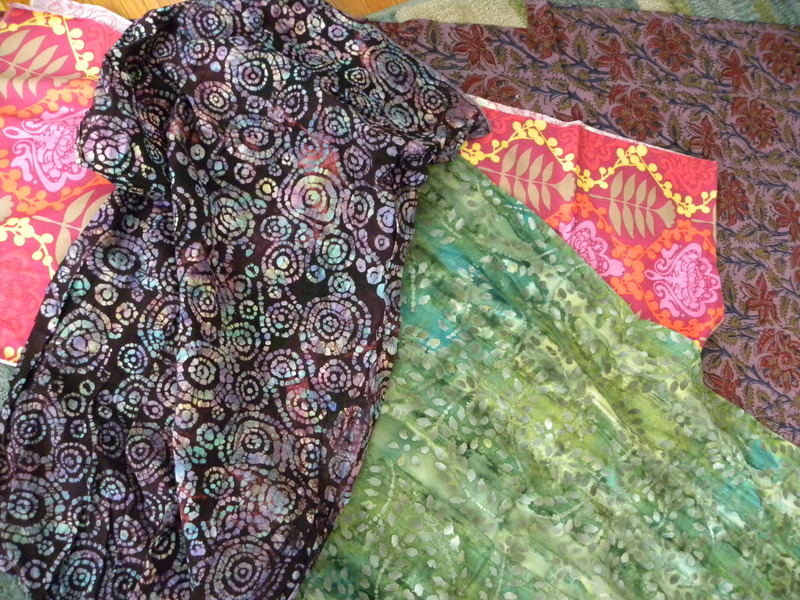 I love making skirts because you mostly are just sewing straight lines. No complicated armholes or necklines. I even managed to line it and add the zipper without too much hassle. I think it turned out pretty well, given I wasn’t sure of what I was doing. 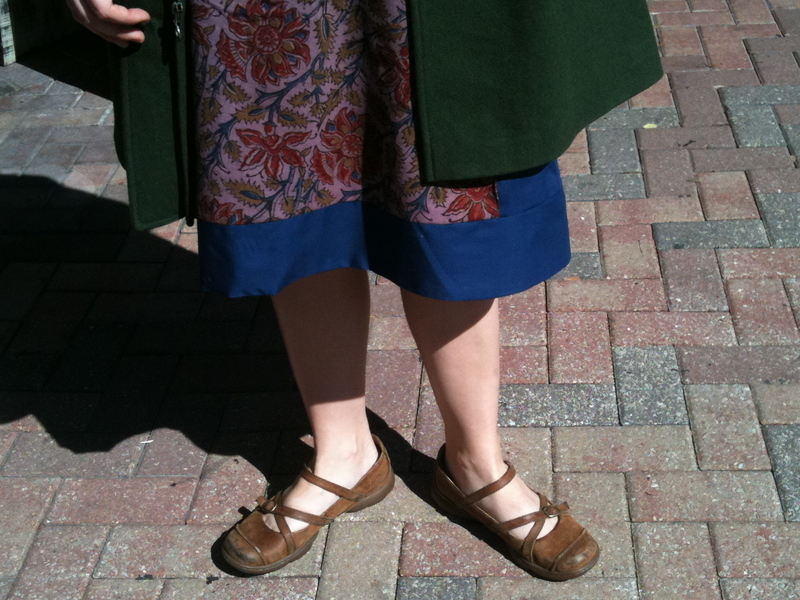 I get to show off my whiter-than-white legs. Since such things are possible in January, when in Florida. 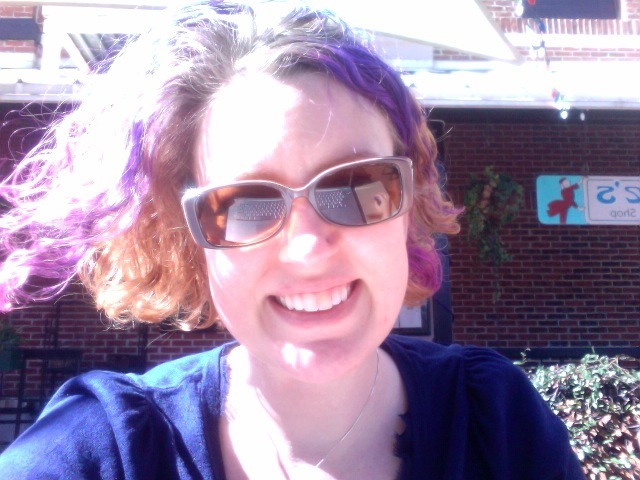 And I get to work outside on the coffeeshop patio. Not in snowy, cold Minneapolis. Which makes me more than happy. 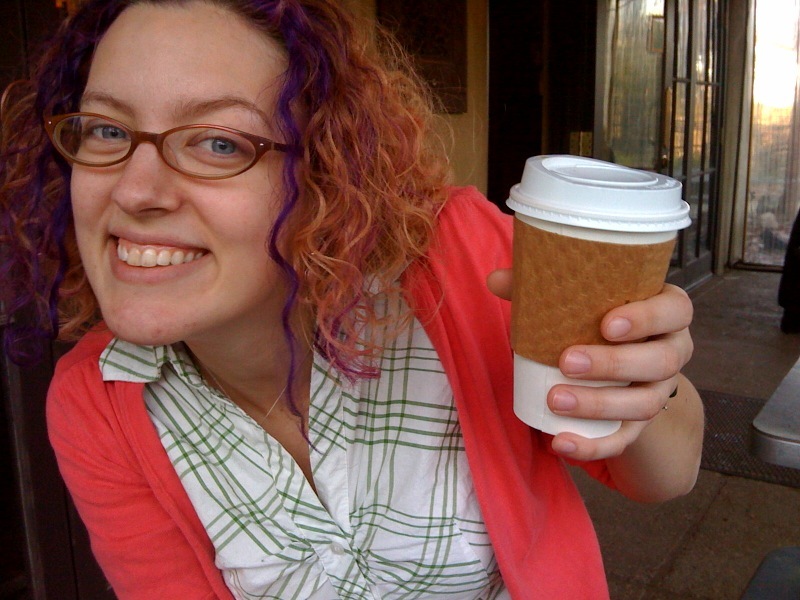 I mean really really really love coffee. But mostly because it smells so damn good. It makes me outrageously happy. 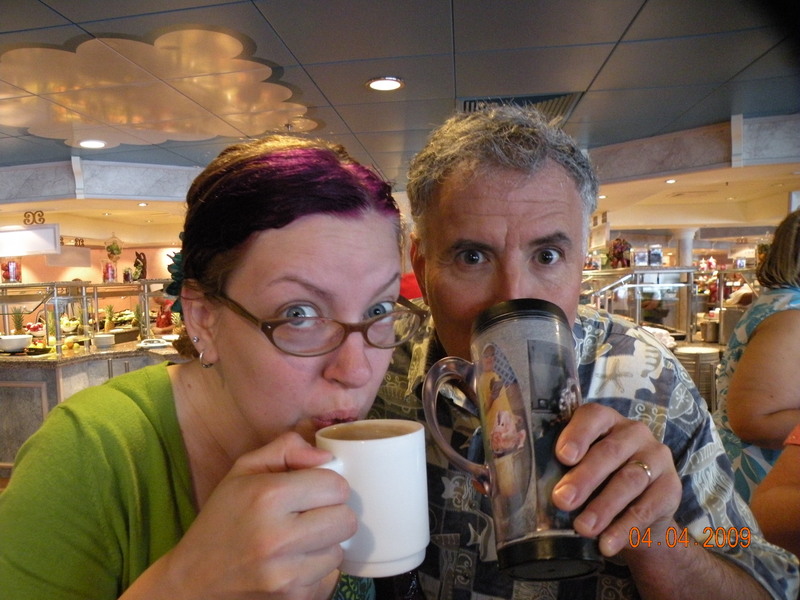 And maybe a little bit crazy (but that might be genetic). And when I visit friends. 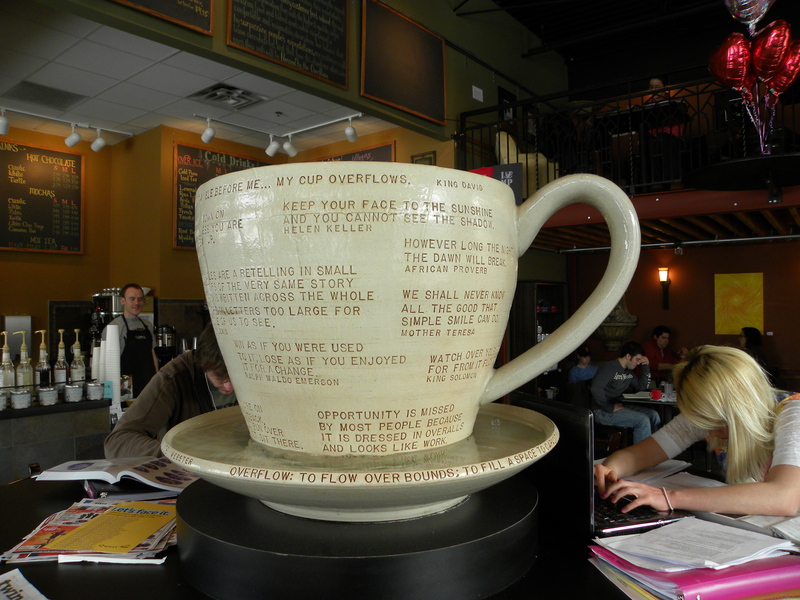 I am amused by gigantic cups of coffee art. 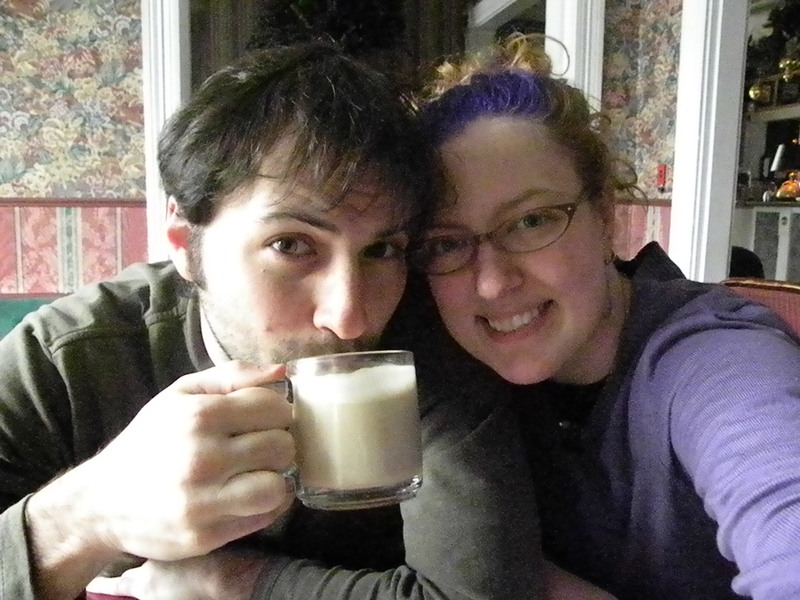 Even Scott likes coffee. And that’s (one reason) why I love him. I just needed to put that out there in the world. 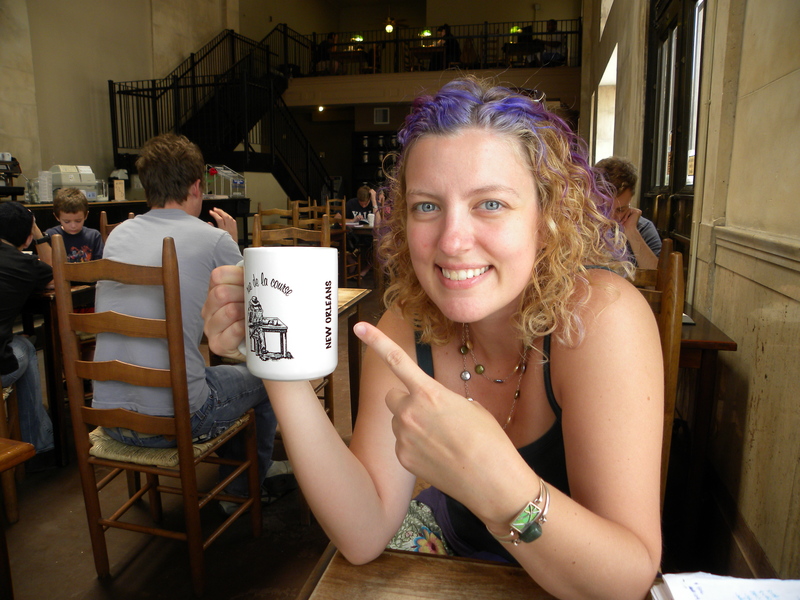 But I am not obsessed about coffee. 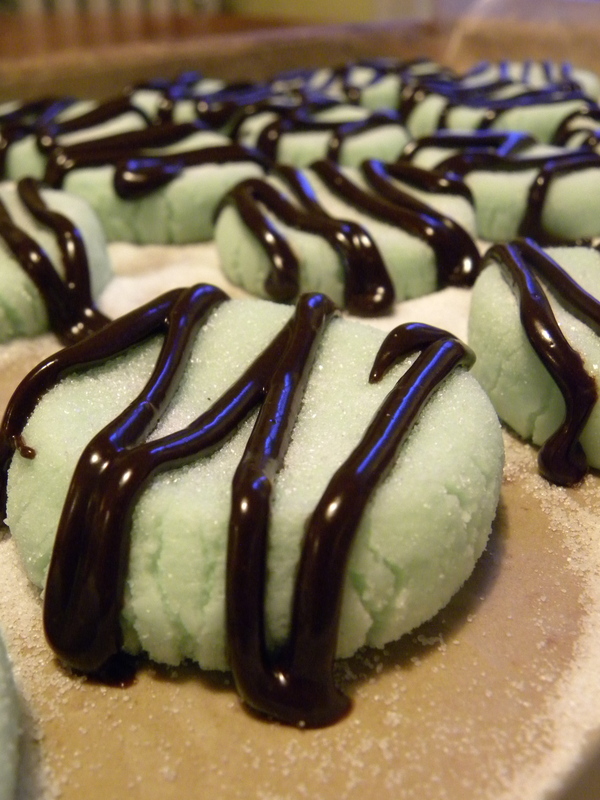 I really had no reason to make these cute little creamy chocolate-covered mints. 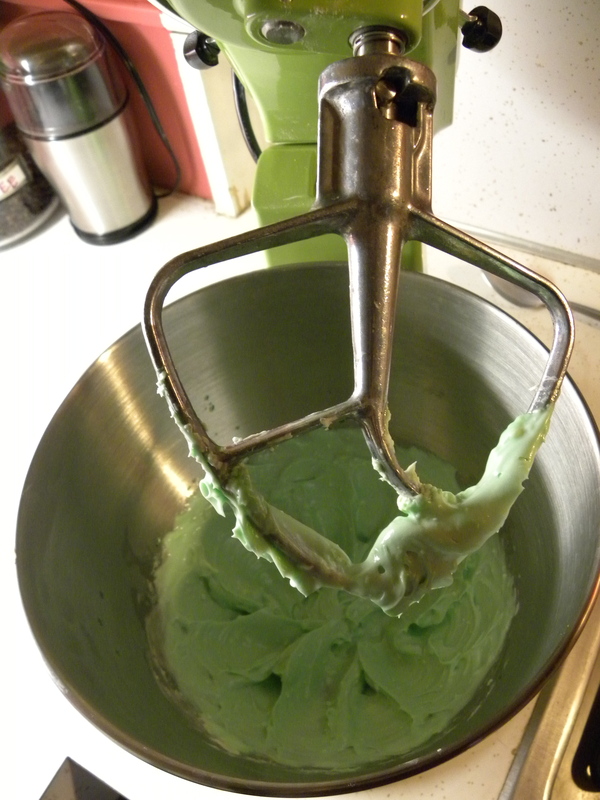 But, I am still in the honeymoon period with my beautiful green KitchenAid stand mixer. And it was Sunday. And I had all of the ingredients in my cupboards. And they were ridiculously easy to make. And fun to photograph. 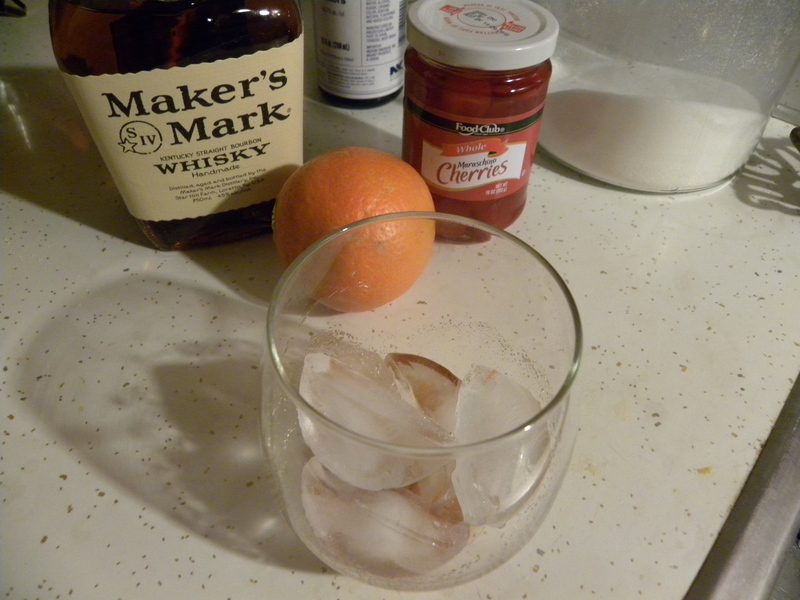 I got the recipe from the little instruction and recipe book that came with my mixer. And then decided to punch them up with the chocolate. Oh, and some vanilla. 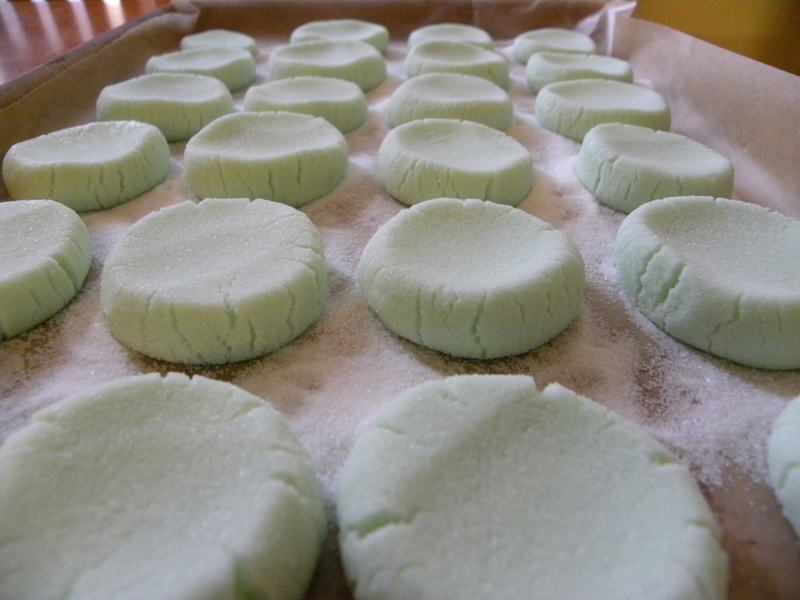 And I used creme de menthe syrup instead of mint extract. So I guess you could say I was inspired by the recipe in the KitchenAid book. 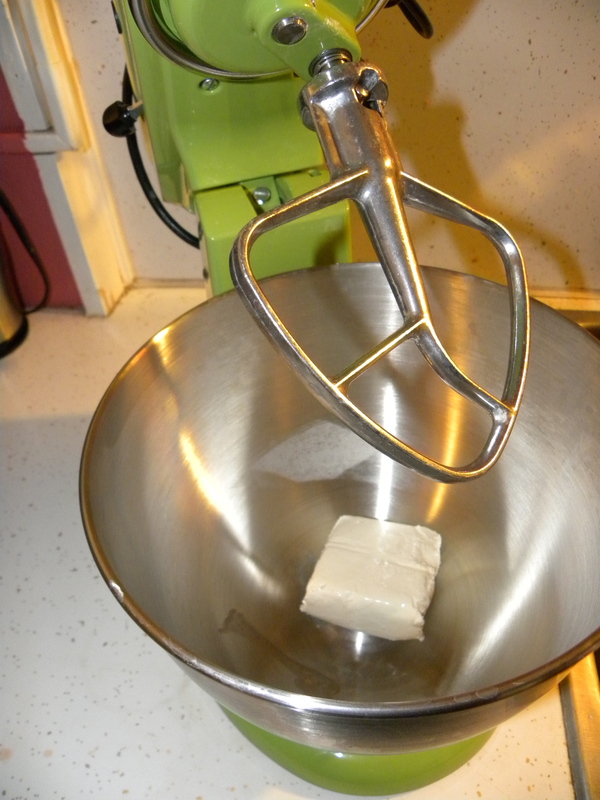 Start with ~4 oz of cream cheese (1/2 a package) in a mixing bowl. 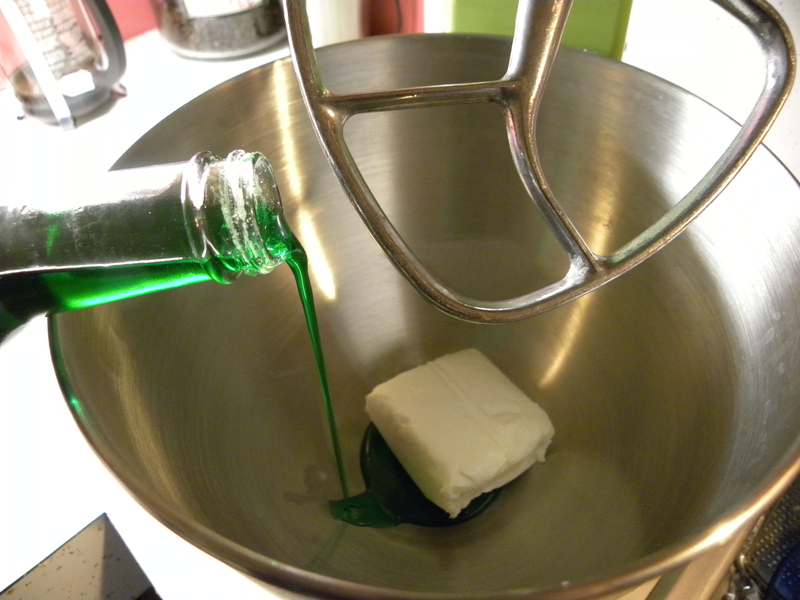 Add some creme de menthe syrup (I am not exactly sure how much I added – I did it mostly to taste. 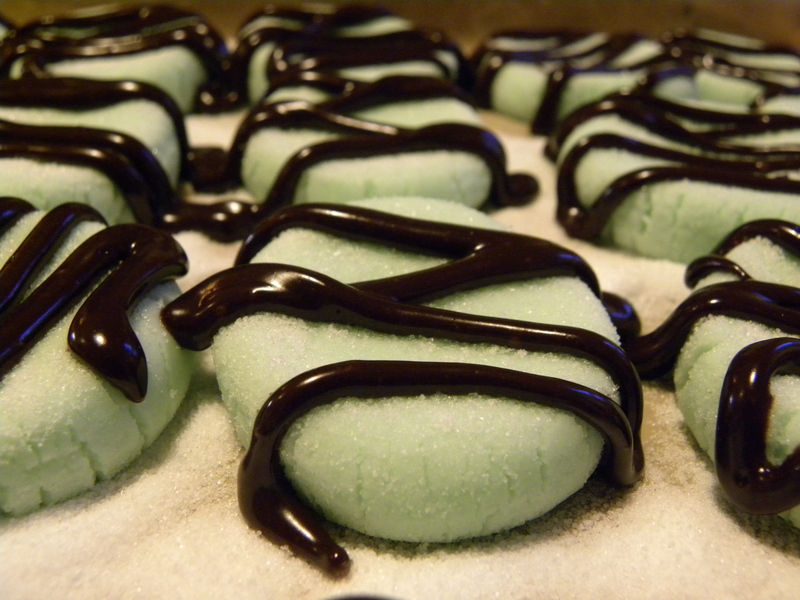 The recipe calls for a 1/4 tsp of mint extract) The recipe also calls for some green food coloring, but as the syrup was already green, I didn’t want to over-do it. Now beat on low until smooth. Beat in a total of 4 to 4 1/2 cups powdered sugar a little at a time. 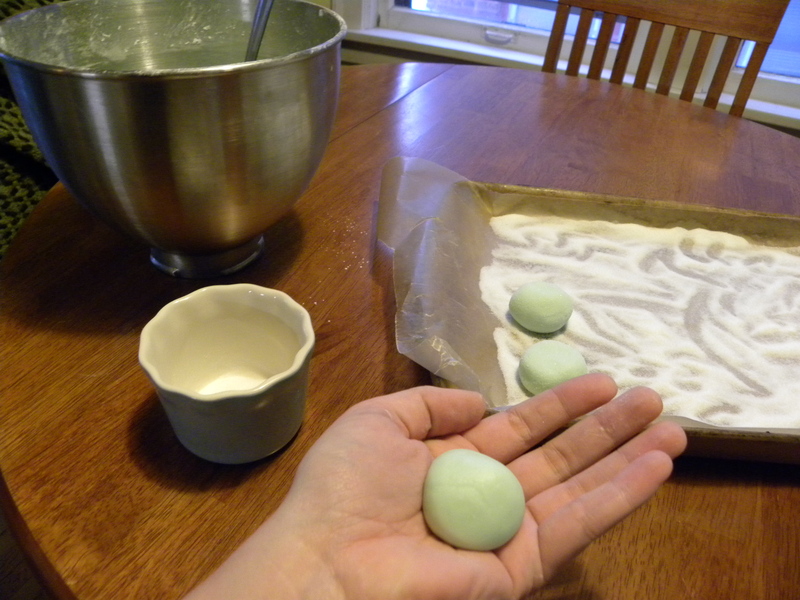 Now form little balls, maybe 3/4 to an inch big and cover in superfine sugar. Now I didn’t have superfine sugar. 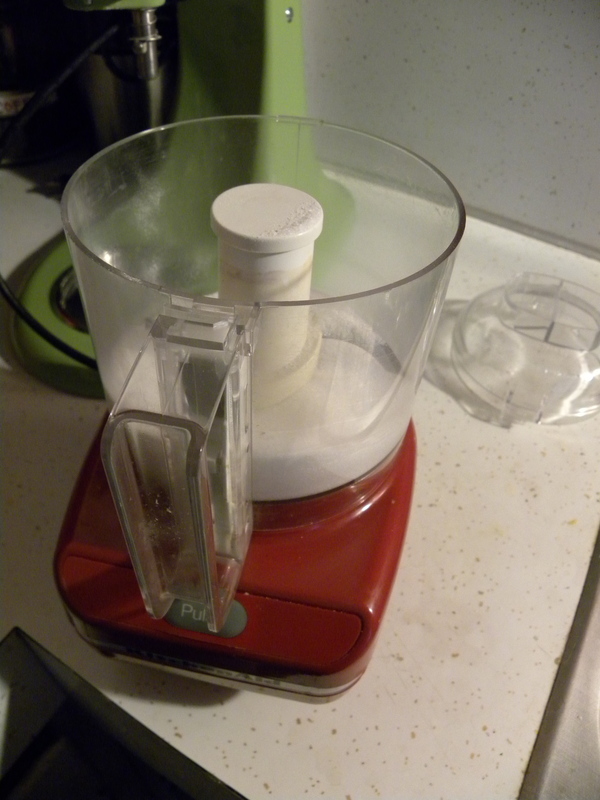 But I did have regular old granulated sugar and a little food processor. Just a few pulses and I had my superfine sugar. 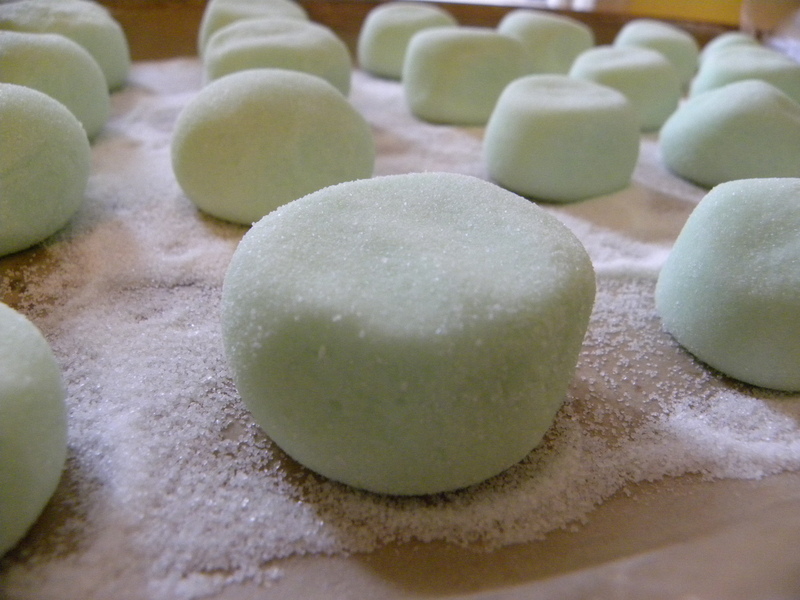 Continue rolling out the mints. I love how they look like marshmallow here! And then squash them down with the back of a spoon. 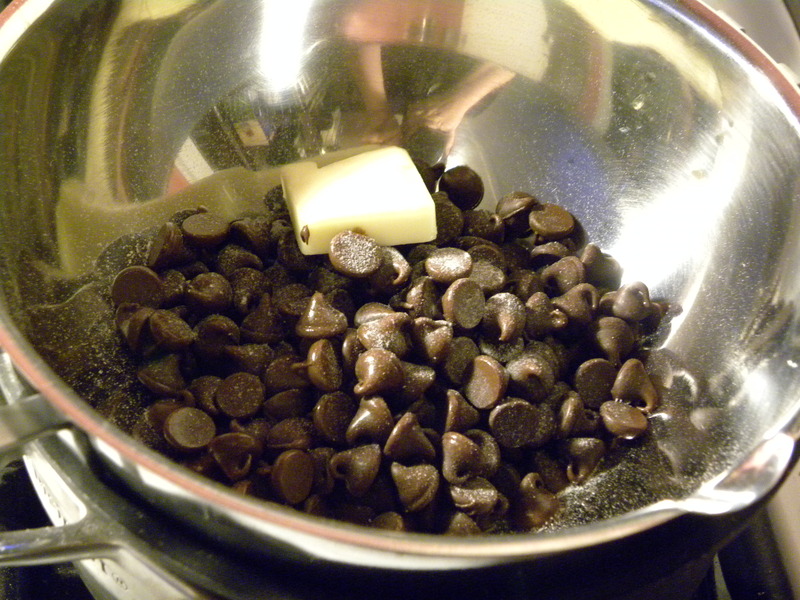 Melt some chocolate chips, a pinch of salt and a pat of butter in a double broiler. I’ve just realized you can spy me photographing in the reflection of the double broiler – totally unintentional, but I kind of like it. 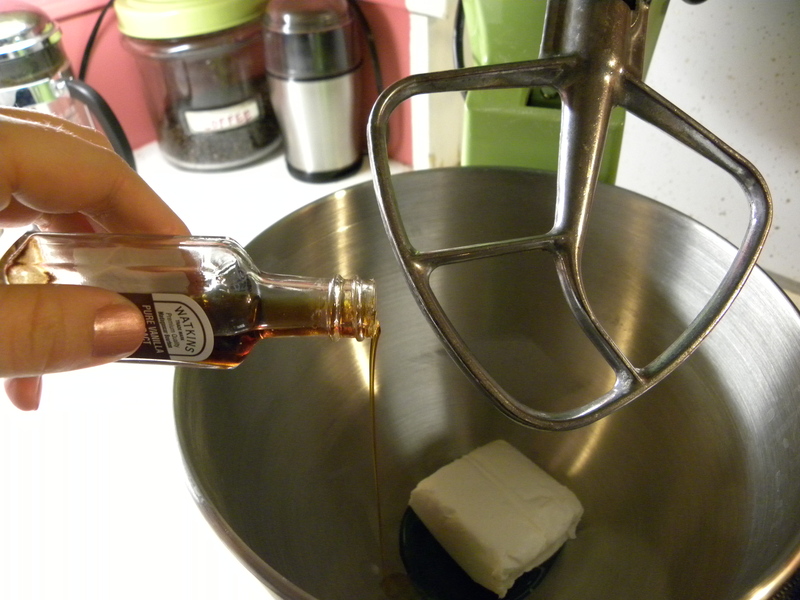 Whisk until completely melted and smooth. I had to add a touch of cream to get it to the desired consistancy. Now, in a more well-equipped kitchen, I would put this in a piping bag. 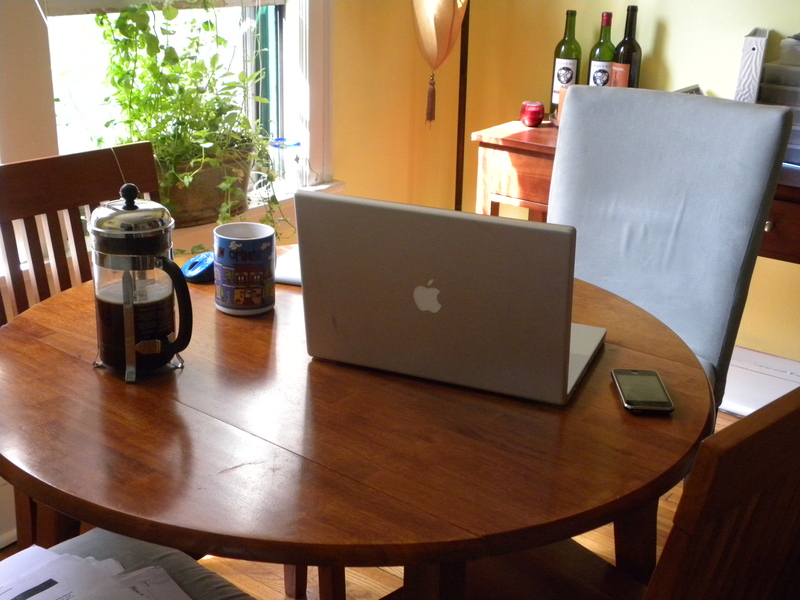 But this isn’t really a well-equipped kitchen. 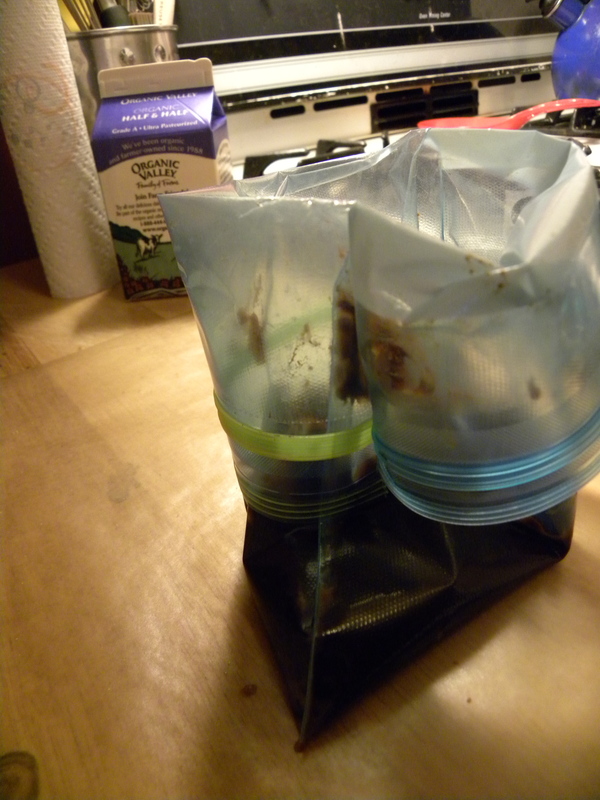 So I used an all-purpose ziploc bag instead and cut a tiny hole in the corner to pipe my chocolate across my mints. I am rather pleased with how pretty they have turned out. I am not quite sure what to do with all of these goodies I’ve been obsessed with making. My very small freezer is quickly becoming jam-packed. Perhaps I should find some friends in this town to unload them on. Actually, don’t call me old-fashioned. 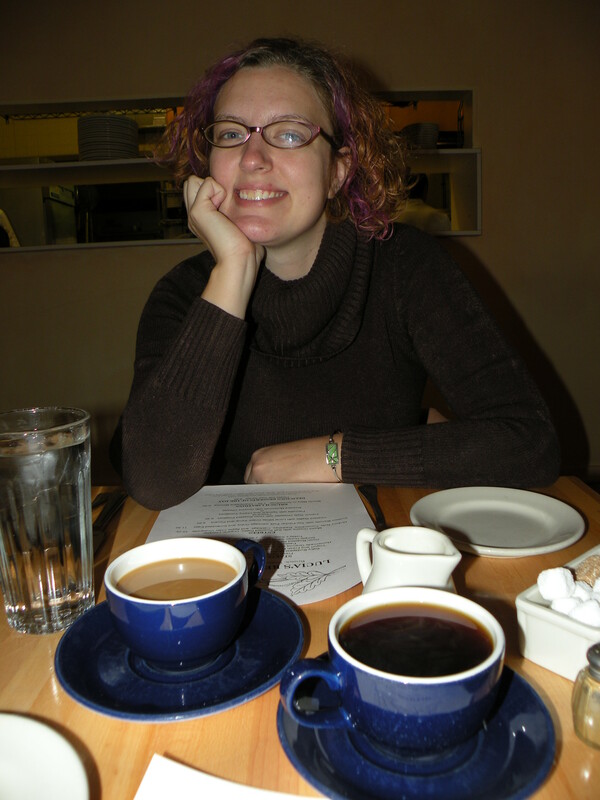 I mean, I have purple hair and went to hippie college. Not what you would call old-fashioned. 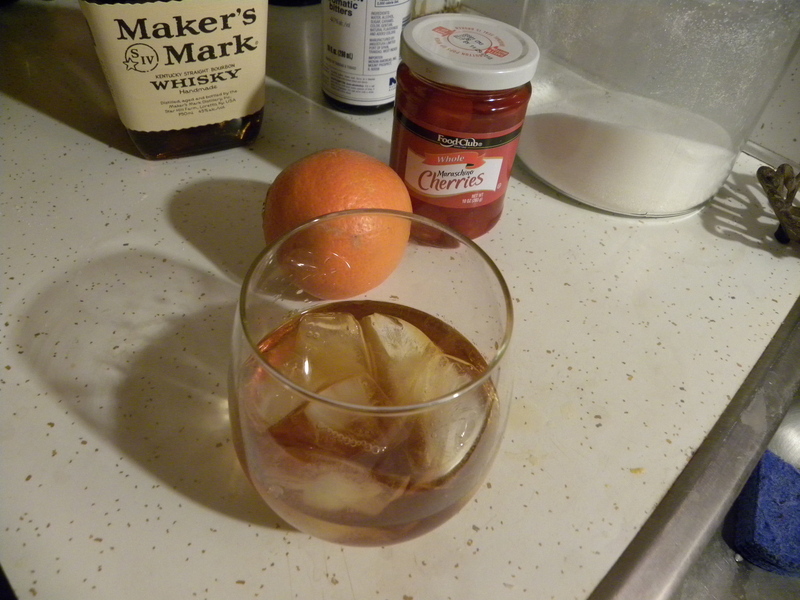 What I meant is that you can call a me the type of person who likes to drink an old-fashioned. It may have gotten started when I started watching Mad Men a few years back, which incidentally corresponded to the opening of a whiskey bar in back in Durham, Whiskey (a less than original name, I know, but they have lots of personality). Either way, it is slowly becoming one of my drinks of choice (don’t worry gin and tonic – you will always have a place in my heart). I find it also helps immensely in dealing with the Midwestern winter (in addition to all of that comfort food I just talked about). 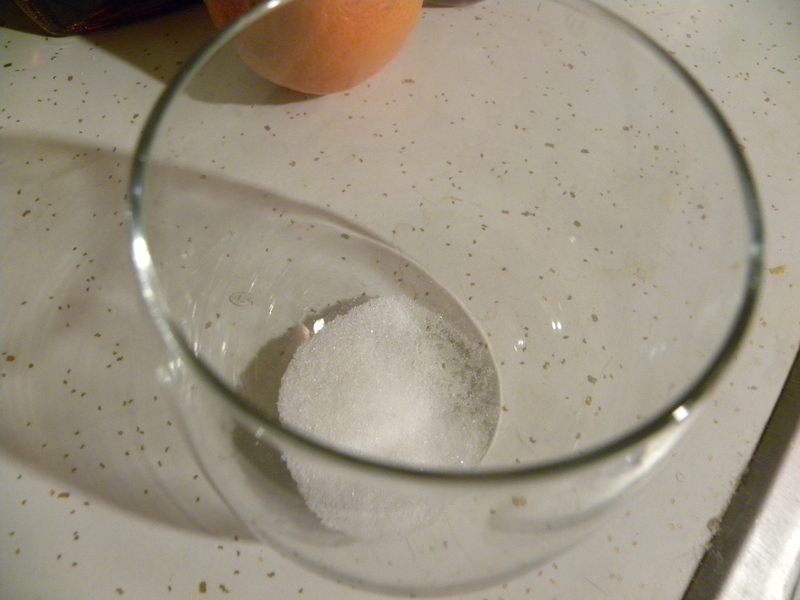 Start with a sugar cube (~1 tsp), ideally in the proper glassware. Alas, all I had was this stemless wine glass. 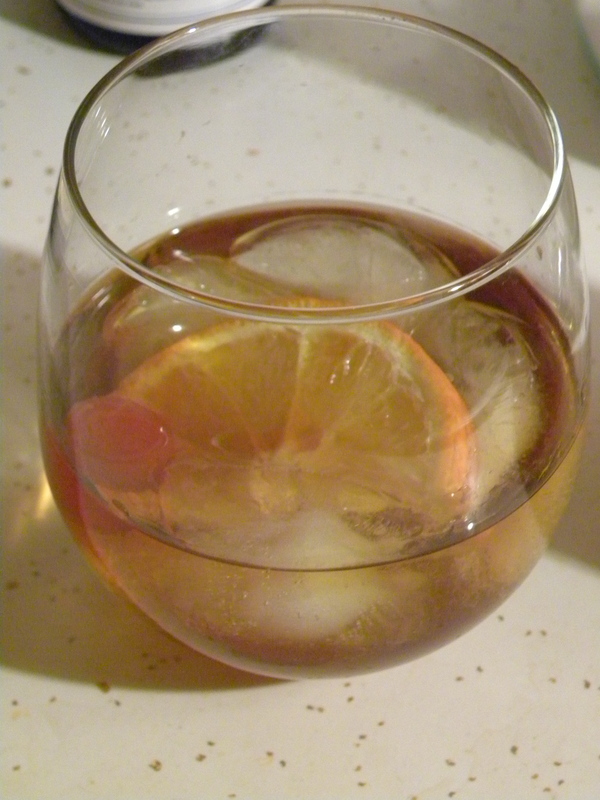 Add a few dashes of Angostura bitters. 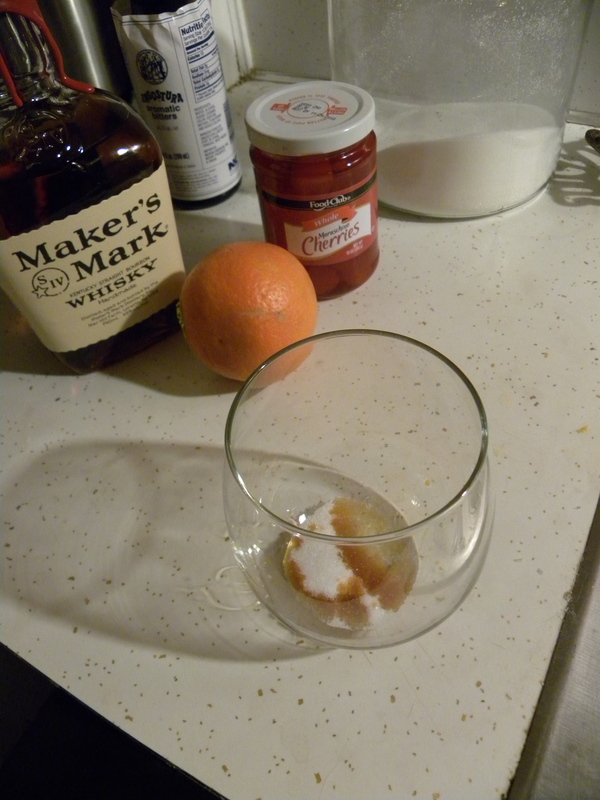 Add 1 tsp water and muddle together. Add some ice to the glass. 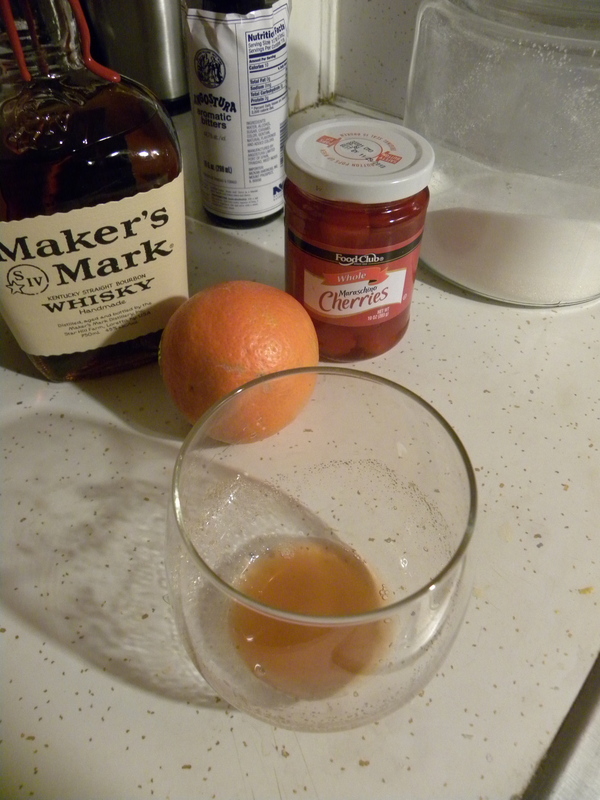 And fill with 3 oz of bourbon (2 shot glasses worth). 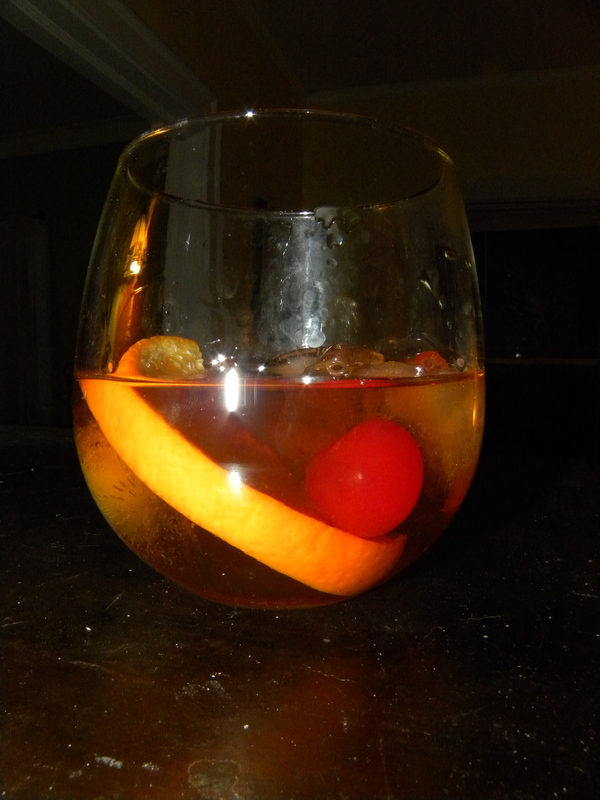 Garnish with an orange slice and a cherry.